Baby Future isn't a baby anymore! 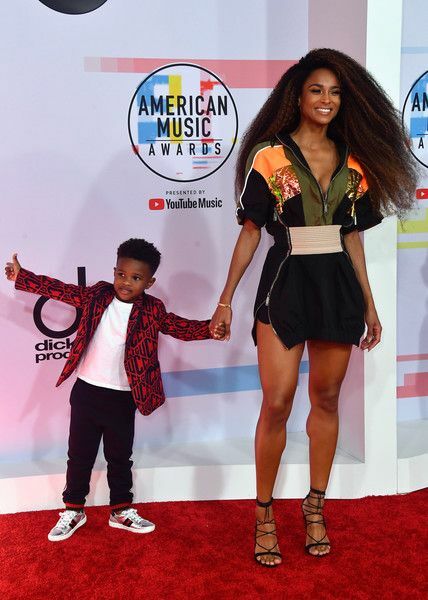 4-Year-Old Future Zahir Wilburn was his mommy's date tonight at the American Music Awards in L.A. And he hit the carpet like a whole boss in his Gucci outfit. On a side note, that's a BAD chick. Come thru iced out wedding finger. The forever princess of Crunk-N-B killed her performance with Missy tonight too. Stay tuned. NEXT: 2018 AMAs RED CARPET: 'Best Rap Artist' Cardi B. Slays Hispanic Heritage Month With A LEWK, Hubby Offset, & A Win!